[Wrapper title:] Cahier de langue Persanne. Dicte par le citoyen Lenglés. 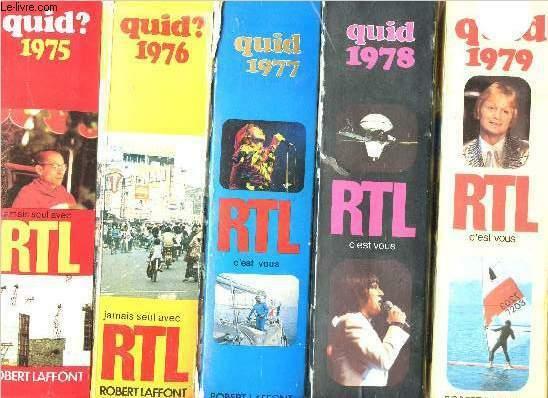 An 7e de la Republique. Paris, 1799. 4to (23 x 18.5 cm). Manuscript on paper, also including a leaf with a letterpress table of the Latin and Arabic alphabet, entitled "Alphabetum Arabicum". Contemporary plain paper wrappers. Cf. R. Irwin, For lust of knowing: the orientalists and their enemies (2006), pp. 137, 141. Manuscript notebook of a student learning the Persian language, apparently one of the pupils of the French philologist and orientalist Louis-Mathieu Langlès (1763-1824) as indicated by the note on the wrapper. 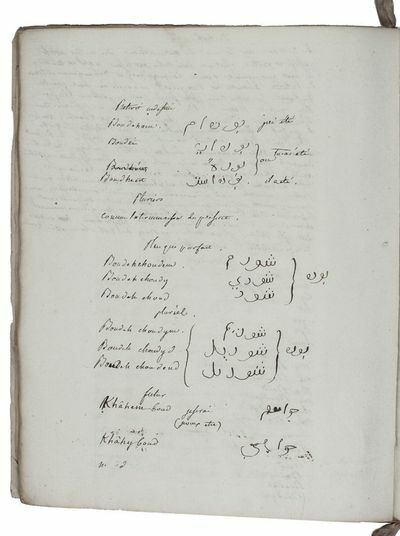 Most of the leaves contain either longer text passages or lists of cases or glossaries, with text in Latin and Persian script.Langlès had studied Arabic and Persian, and "played a leading part in the foundation of the Ecole spéciale des langues orientales vivantes , an institution that was unusual in teaching spoken languages ..." (Irwin). He became the first head of the school after its foundation.With pencil notes on the back of the paper wrappers. Slightly browned and with some occasional spots or ink blotches. Paper wrappers slightly soiled. Overall in good condition. London, England: Penguin/Penguin Designer Classics, 2006. First Edition. First Printing.. Hardcover. As New/As New Dust Jacket.. London, England: Penguin/Penguin Designer Classics, 2006. Hardcover. As New/As New. First Edition/First Printing. 704 pages. Artist Book. One of the most beautiful Artist Book interpretations of the classic ever created. Limited Edition of one numbered and signed copy. Should not be confused with the Limited Edition of 1000 copies. A brilliant production by Ron Arad: Oversize-volume format. Text by Fyodor Dostoyevsky. Art by Ron Arad. White cardboard box. Printed on archival acid-free stock paper in the United Kingdom to absolutely the highest standards. In transparent Plexiglas ("Perspex") box, which serves as the book's DJ. Rather than just an outer slipcase, it is completely integral to the book. Published on the occasion of Penguin Book's 60th Anniversary, "The Idiot" is one of five classics that the publisher issued in a Limited Edition by commissioning five of the world's most important artists in their respective fields. The other titles are Gustave Flaubert's "Madame Bovary", D. H. Lawrence's "Lady Chatterley's Lover", F. Scott Fitzgerald's "Tender Is The Night: A Romance", and Fyodor Dostoyevsky's "Crime And Punishment" (he is the only novelist to be honored with two masterpieces in the Series). Penguin held a global auction of the "Number 1" signed copy of each title on the day of its 60th Anniversary in 2006. "Arad's book has no cover so the reader will pick it up and read the author's first words. It is stripped back to show the glue and thread in the spine which is visible through an acrylic slipcase with a fresnel lens so the text appears to move as the lid is removed" (Publisher's blurb). "By not wanting to have a cover, it ended with the book becoming an amazing object that is alive, but which maintains its transparency. It becomes a glorious box with a book inside, almost like a monument" (Ron Arad). Said like a true architect who has worked for the Metropolitan Museum of Art New York, the Centre Georges Pompidou Paris, the Vitra Design Museum Germany, and the Victoria & Albert Museum London. The ultimate book-as-object, the literary classic-as-work-of-art, worthy of this auspicious celebration and posterity. An absolute "must-have" edition for Fyodor Dostoyevsky, Ron Arad, and art/graphic design collectors. This copy is Number 1, indicated as such on the Back Limitation Page, and it is very prominently and beautifully signed in black ink-pen on the first page by Ron Arad. It is signed directly on the page itself, not on a tipped-in page. 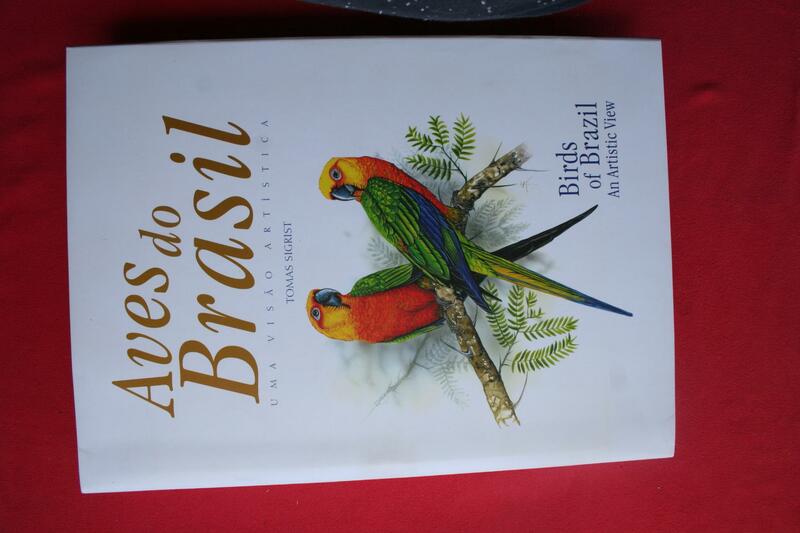 By special arrangement with Penguin, Arad signed only the first copy of the Limited Edition, an instant collectible. This is the only signed copy available anywhere and has no flaws, a pristine beauty. A rare, one-of-a-kind signed copy thus. One of the greatest novels of all time, re-interpreted by one of the most brilliant architect/designers of our time. A flawless collectible copy. (SEE ALSO OTHER PENGUIN DESIGNER CLASSIC TITLES IN OUR CATALOG). ISBN 0713999659. Ad 1: Berlin Kat. 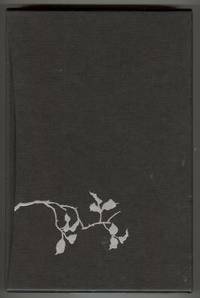 3332 (part 1, bound with part 2 of a different work); Millard coll. Northern European 18; WorldCat (3 copies of part 1 only); not in Springer, Tuinkunst; ad 2: Berlin Kat. 2006; Cicognara 676; WorldCat (7 or 9 copies); not in BAL; ad 3: Berlin Kat. 3929; WorldCat (Czech description without location); not in BAL. A remarkable volume containing three rare print series on architecture, architectural ornament and garden ornament, all published by the important Augsburg engraver and print publisher Johann Andreas Pfeffel the elder (1674-1748).Ad 1: First and only edition of a very rare ornamental garden pattern book (part 2 is especially rare) by the recently appointed court gardener and inspector of the Salzburg gardens, Franz Anton Danreiter (1695-1760). 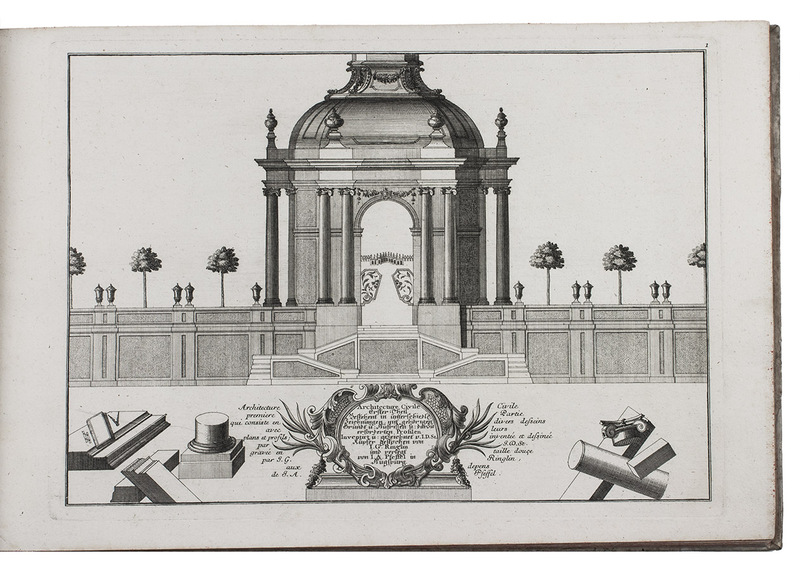 In 1728 Danreiter was appointed court gardener and inspector to related buildings by the ducal bishop of Salzburg. He translated Dezallier's La theorie et la pratique du jardinage into German, helping introduce French garden design to German-speaking countries. His own designs in the present work show more than 100 ornamental and fanciful planting patterns on 42 plates, many including fountains. This was his first and rarest model book with garden plans for parterres. They show that far from endlessly repeating the strict symmetrical canon of French Baroque garden design, Danreiter developed a never-ending variety of ornamental designs which herald the German rococo.Ad 2: First edition of Johann David Steingruber's first published architectural book, showing working drawings with plans, elevations and sections of town houses and palaces, mostly with scales. It includes several designs for a garden pavilion in an aristocratic park, lavish town houses for the haute bourgeois, and finally a ducal residence. Each design is shown in as much detail as possible. The grander houses are shown including streets and gardens. The Margrave of Brandenburg-Ansbach appointed Steingruber (1702-1787) court architect in 1734. In the course of his near sixty-year tenure he transformed the townscape of Ansbach following his own designs. He is best remembered for his playful "Architektonisches Alphabet" (1773), a remarkable series of designs in which each building has a ground plan based on a different letter in the alphabet.Ad 3: Rare 18th century copy of selections from the equally rare Diverses corniches choisies sur l'anticque , originally issued in 30 plates ca. 1670 by the ornamentalist and painter George Charmeton (1623-1674). It shows ornamental designs from classical Roman entablatures (architraves, friezes and cornices).With an early owner's list of the content and a library stamp. In very good condition, with only a crease across the corner of a couple leaves and an occasional minor spot. The paper sides are foxed, with a small water stain and a few chips, but the binding is otherwise also very good. 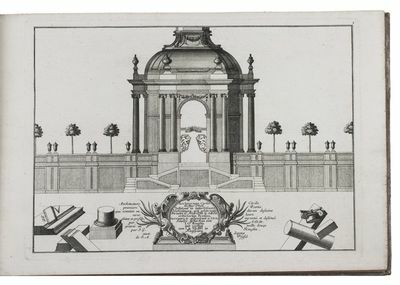 Three rare architectural and ornamental print series, especially valuable for the garden layouts. London: The Folio Society. AN. 2006. Hardcover. 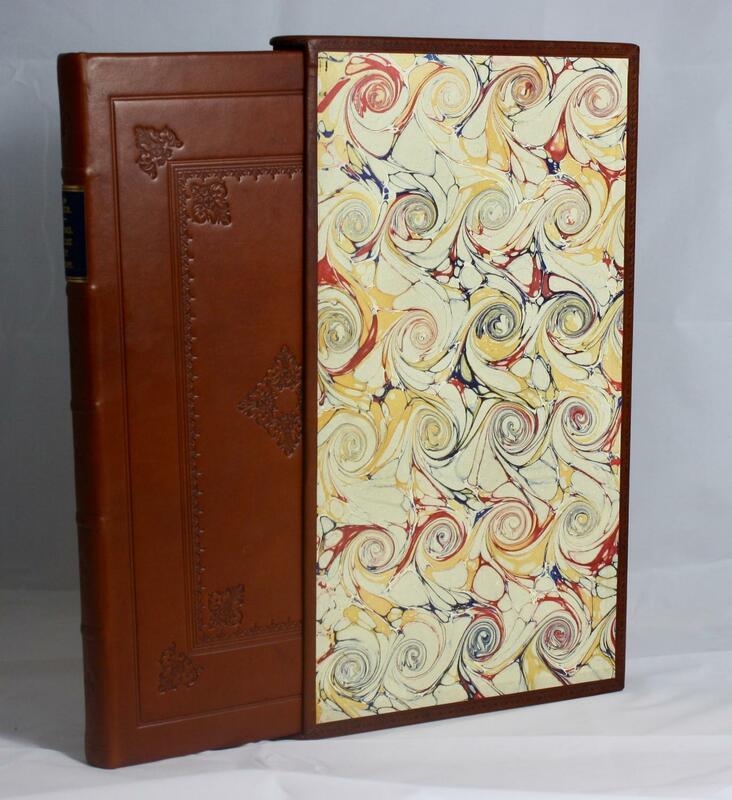 Bound in full Wassa goatskin blocked with a design by Jeff Clements, internally clean and bright, illustrated with drawings by Feliks Topolski, No.1184 of an edition of 1750. A fine copy contained in the publisher's solander case. , 8vo 8" - 9" tall, 1430 pp . Göttingen: Steidl. 1st Edition. Soft cover. Fine. SIGNED LIMITED FIRST EDITION, one of only 300 copies, signed by Soth and his alter ago Lester B. Morrison, housed in its own unique "book-safe", and with a signed and numbered Soth photograph and booklet. WITH: A set of three limited edition zines (edition of 500) by "Lester B. Morrison" seen as preparatory work for Broken Manual. "Created over four years (2006-2010), Alec Soth's newest book represents a significant departure from his previous publications. Entitled 'Broken Manual,' Soth investigates the places in which people retreat to escape civilization. Soth photographs monks, survivalists, hermits and runaways, but this isn't a conventional documentary book on life 'off the grid.' Instead, working with the writer Lester B. Morrison, the authors have created an underground instruction manual for those looking to escape their lives. "It is common for artists to follow up the publication of their books with 'Special Editions,' but in the case of Broken Manual, this edition is being presented first. 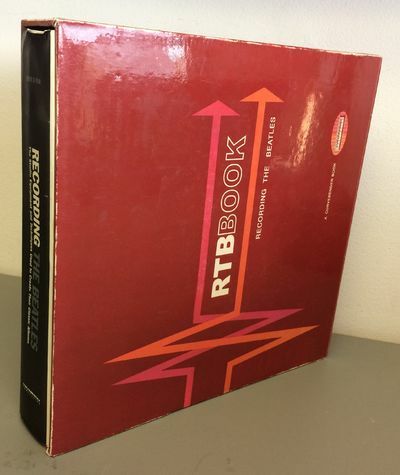 Made in an edition of 300, Soth calls this the 'Ideal Edition' of Broken Manual. Each copy of the book is housed inside of another, one-of-a-kind book. These signed and numbered 'shell' books are unique and cut by hand. Inside the shell, there is also a small booklet entitled 'Liberation Billfold Manifest' and an 8×10" print signed and numbered by Alec Soth and Lester B. Morrison" (Little Brown Mushroom website). Göttingen: Steidl, 2010. 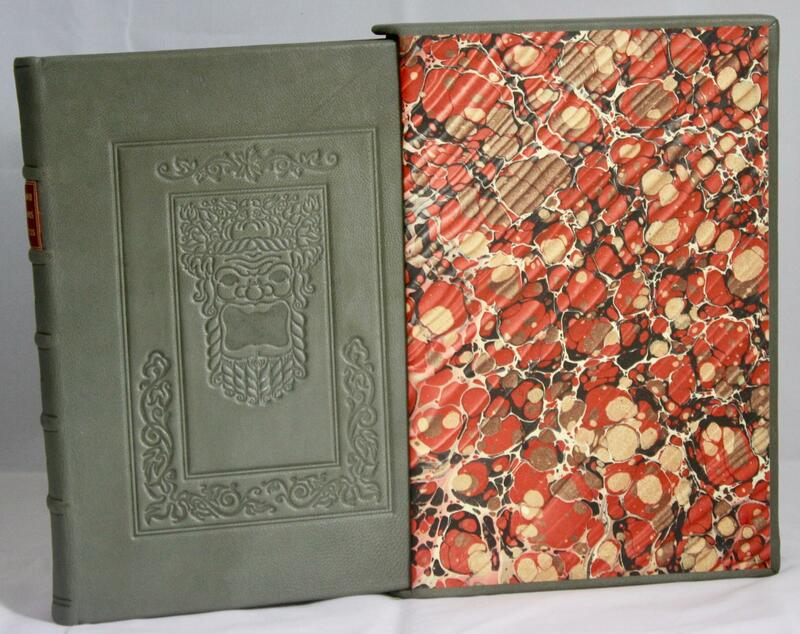 Quarto, original paper wrappers; housed in a "book-safe" (a Renoir book). The zines are in their original wrappers. Fine condition. Rare. Wrapper title:] Cahier de langue Persanne. Dicte par le citoyen Lenglés. An 7e de la Republique. Paris, 1799. 4to (23 x 18.5 cm). Manuscript on paper, also including a leaf with a letterpress table of the Latin and Arabic alphabet, entitled "Alphabetum Arabicum". Contemporary plain paper wrappers. 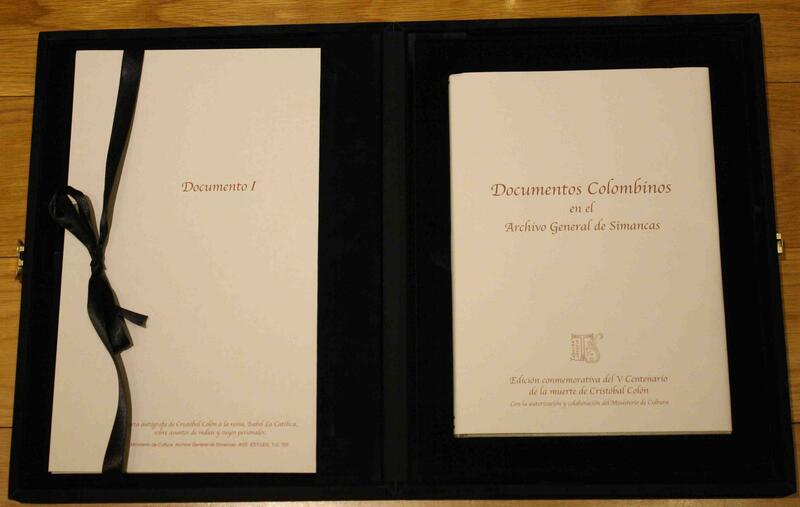 Documentos colombinos en el Archivo General de Simancas . 2006. Ed. Ed. Taberna Libraria . 2006 - . . . 2 Vol. . 140 pp. (Libro de estudio) pp. Folio. 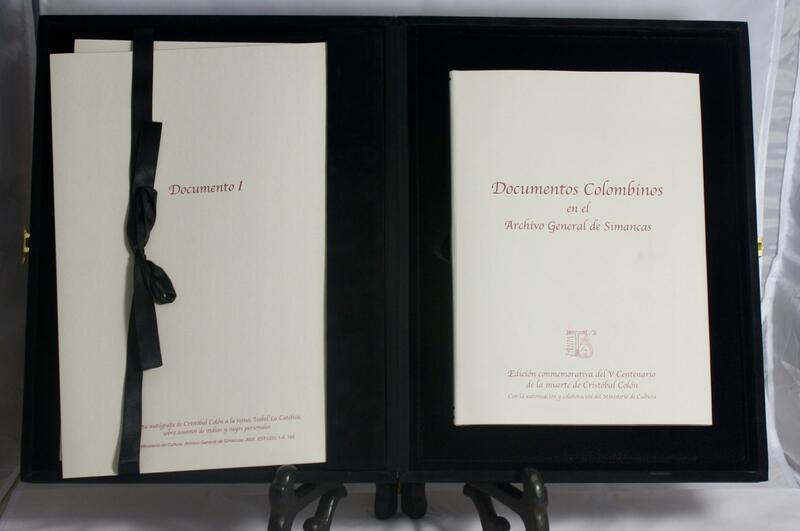 Símil piel. . Colección de 7 documentos facsímiles colombinos, cuyos originales son propiedad del Ministerio de Cultura y se custodian en el Archivo General de Simancas. Ejemplar nº 265 de una tirada limitada de 500 ejemplares numerados y firmados por notario. Incluye estuche en símil terciopelo guardando libro de estudios y cartas. Excelente estado de conservación. .
De Arabische Alkoran, door de Zarazijnsche en de Turcksche prophete Mahometh.Hamburg, for Barent Adriaensz. Berentsma, 1641. With: (2) [MOHAMMED]. 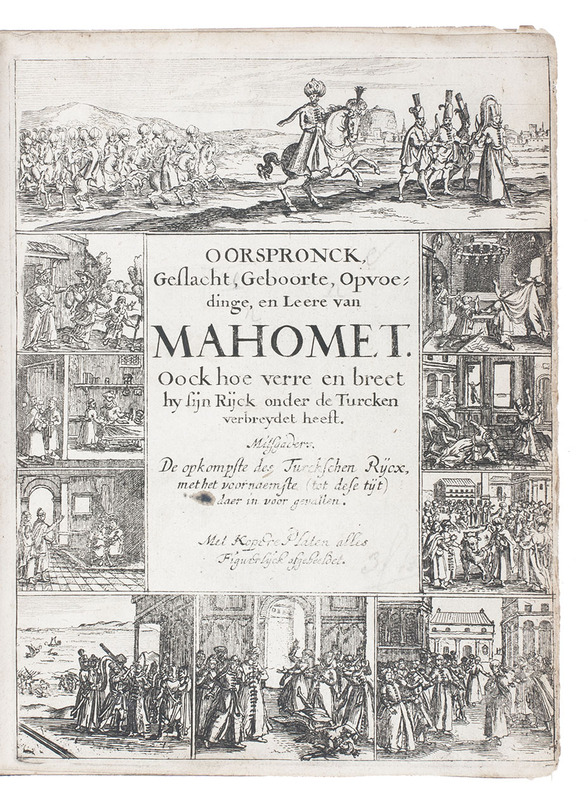 Historie van den oorsprongh, geslacht, geboorte, opvoedinge, en leere des grooten valschen propheets Mahomets. Amsterdam, Broer Jansz., 1640. With engraved frontispiece and 9 engraved illustrations in the text. (3) [OTTOMAN EMPIRE]. Prophetien, of voorseggingen der beyde Keyseren Severi en Leonis, die beyde in Orienten geregeert hebben. Amsterdam, Broer Jansz., 1640. With 15 numbered engraved illustrations. 3 works in 1 volume. 4to. 18th-century calf with the coat of arms of Aaron de Joseph de Pinto stamped in gold on both boards, gold-tooled spine. Ad 1: STCN (6 copies? ); Waller 46; ad 2: STCN (3 copies, including 1 incomplete); ad 3: STCN (3 copies); Waller 1389; on the binding: Storm van Leeuwen, Dutch decorated bookbinding (2006), IIA, pp. 111-112. First Dutch translation of the Quran, translated after the first German version by Salomon Schweigger (1616). Schweiger, a protestant minister who sojourned in Istanbul for three years, knew little Arabic and translated from an Italian version of 1547, which on its turn was based on a Latin rendering of the original Arabic.The work is bound with a rare second edition of a (critical) life of Mohammed with an account of the early spread of Islam (ad 2), and a second Dutch edition of the prophetic visions of the Byzantine Emperors Leo VI and Severus on the end of the Ottoman Empire (ad 3), both works first published in 1627.The book comes from the library of the wealthy Amsterdam merchant Aaron de Joseph de Pinto (1710-1758), a distinguished book collector who had his books bound by the so-called "Fleur-de-Lis Bindery" at The Hague. Some owner's entries on flyleaf; slightly shaved. Very good copies, with an interesting provenance. De Arabische Alkoran, door de Zarazijnsche en de Turcksche prophete Mahometh.Hamburg, for Barent Adriaensz. Berentsma, 1641.With:(2) [MOHAMMED]. Historie van den oorsprongh, geslacht, geboorte, opvoedinge, en leere des grooten valschen propheets Mahomets. Amsterdam, Broer Jansz., 1640. With engraved frontispiece and 9 engraved illustrations in the text. (3) [OTTOMAN EMPIRE]. Prophetien, of voorseggingen der beyde Keyseren Severi en Leonis, die beyde in Orienten geregeert hebben. Amsterdam, Broer Jansz., 1640. With 15 numbered engraved illustrations. 3 works in 1 volume. 4to. 18th-century calf with the coat of arms of Aaron de Joseph de Pinto stamped in gold on both boards, gold-tooled spine. - Ad 1: STCN (6 copies? ); Waller 46; ad 2: STCN (3 copies, including 1 incomplete); ad 3: STCN (3 copies); Waller 1389; on the binding: Storm van Leeuwen, Dutch decorated bookbinding (2006), IIA, pp. 111-112. First Dutch translation of the Quran, translated after the first German version by Salomon Schweigger (1616). Schweiger, a protestant minister who sojourned in Istanbul for three years, knew little Arabic and translated from an Italian version of 1547, which on its turn was based on a Latin rendering of the original Arabic.The work is bound with a rare second edition of a (critical) life of Mohammed with an account of the early spread of Islam (ad 2), and a second Dutch edition of the prophetic visions of the Byzantine Emperors Leo VI and Severus on the end of the Ottoman Empire (ad 3), both works first published in 1627.The book comes from the library of the wealthy Amsterdam merchant Aaron de Joseph de Pinto (1710-1758), a distinguished book collector who had his books bound by the so-called "Fleur-de-Lis Bindery" at The Hague. Some owner's entries on flyleaf; slightly shaved. Very good copies, with an interesting provenance. LORD JOHN FILM FESTIVAL - SIGNED by 41 of the GREATEST FILM DIRECTORS, ACTORS & WRITERS of OUR TIME - and a U.S. PRESIDENT! DELUXE, SIGNED, LIMITED, FIRST EDITION, PRESENTATION COPY with the Rare ONE FLEW OVER THE CUCKOO'S NEST Illustrated Label on the front cover. Published by Lord John Press, First Edition, 2006. 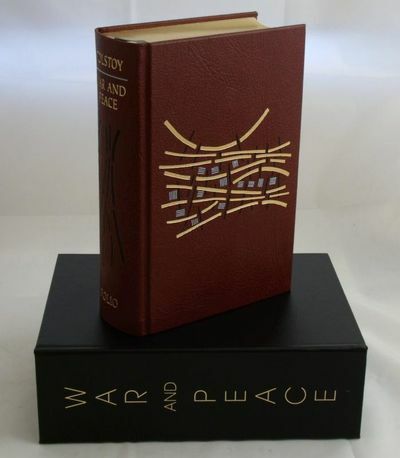 Specially Bound in 1/4 Leather and Black Silk Cloth Covered Boards, with Gilt Lettering and Design to the Leather Spine, and a Small "One Flew Over The Cuckoo's Nest" Poster Illustration on the front cover. The book comes in a special blue silk cloth covered Slipcase with a window that shows the "One Flew Over The Cuckoo's Nest" poster that is on the front cover of the book. From the Colophon Page (the last page): "This first edition of LORD JOHN FILM FESTIVAL is limited to One Hundred Seventy-four numbered copies and Twenty-six lettered copies specially bound, all of which have been signed by various writers, actors and directors..." In addition a very few copies were printed for PRESENTATION by the PUBLISHER. This is one such copy. This first limited numbered edition is the only edition with the complete 41 signatures, as intended by the Lord John Press. 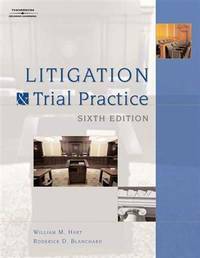 (A first "trade edition" of 350 copies was published concurrently, in a trade binding and with fewer signatures. 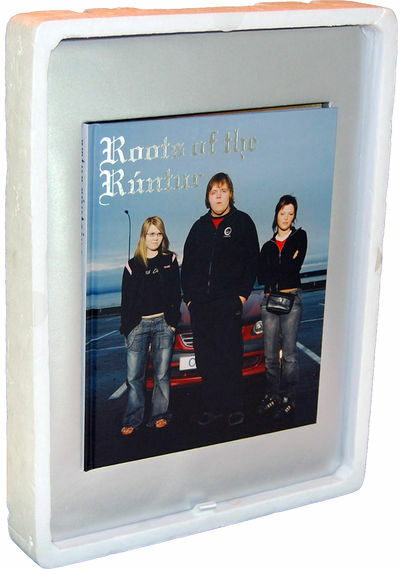 A later trade edition with only a few signatures was published in 2007.) FINE book in a FINE slipcase. It was as new in its plastic wrap, but I removed the original plastic wrap in order to take photos. The thin wrap got majorly torn when opened and removed. Herb Yellin, owner and operator of the Lord John Press, was a collector and publisher of signed books, and also a film buff who collected signed film posters and signed film stills over many years. The Film Festival book is filled with reproductions of film posters and movie stills from his collection. The films and stars range from the silent era to present day modern classics. This book was in the planning stages at the Lord John Press for many years, and quite a number of the signatures for this special first edition were obtained by Herb Yellin in the years prior to its finalization and publication, some from as early as the 1990s. All of the 41 signatures are on special sheets that were kept at the Lord John Press, awaiting to be bound into the final book. And THIS is THAT final book. The signatures in this Special Presentation First Edition are on two four-page sections, one at the front and one at the back. The hand-signed autographs are all prominently displayed. All, except two, of the 41 signers has his or her own Wikipedia page. Each is worth reading by anyone seriously interested in film and film history. As of this writing, 22 of the 41 signers have died in the years since their signatures were obtained for this special edition. The complete list of signers in this limited first edition presentation copy are: BILLY WILDER, ROMAN POLANSKI, RAY BRADBURY, GERALD R. FORD, HARRY CREWS, JOHN UPDIKE, JANET LEIGH, NORMAN JEWISON, JEAN MOREAU, FAYE DUNAWAY, ROBERT BLOCH, RAMSEY CAMPBELL, CHARLES CHAMPLIN (not to be confused with Charlie Chaplin), NORMAN CORWIN, DENNIS ETCHISON, DELBERT MANN, RICHARD C. MATHESON, S.L. STEBEL, BERNARD TAVERNIER, STEVE RASNIC TEM, KENNETH TURAN, JOHN FRANKENHEIMER, RICHARD RUSH, FRED ZINNEMANN, HORTON FOOTE, STANLEY KRAMER, RONALD NEAME, EVA MARIE SAINT, JEAN SIMMONS, GENA ROWLANDS, KARL MALDEN, ROD STEIGER, LIZABETH SCOTT, BRUCE BERESFORD, ALEX ROCCO, JULES DASSIN, LOUISE FLETCHER, BRIAN COX, JOHN MILIUS, MIKE LEIGH, RICHARD CRENNA. Fine . Burton, Michigan: Subterranean Press, 2006. First separate hardcover editions. A fine set without dust jackets as issued in a cloth slipcase. (17118). Octavo, six volumes, leather backed cloth. One of 148 numbered and signed copies by King. A novel published published in six self-contained monthly paperback installments. "A Depression-era prison novel, as hauntingly touching as it is just plain haunted ... One of his freshest and most frightening works to date." - Tom De Haven. Made into a fine feature film in 1999, directed and screenplay by Frank Darabont. It starred Tom Hanks in the lead role with David Morse, Bonnie Hunt and Michael Clarke Duncan. The film was nominated for numerous awards including four Oscar nominations. National Museum of Iceland, 2006. First edition. Hardcover. New. As new; one of a stated 20 copies of the 'Fishbox' Edition, from a total edition of 400 copies, of which 100 were signed and numbered. Styrofoam case in very good condition, showing some slight, to-be-expected signs of wear. Book is fine; signed and numbered by Hornstra on the front free endpaper. C-print is fine within its sleeve. An attractive copy of the photographer's first book. Beschreibung der in der homöopatischen Pharmacopöe aufgenommenen Pflanzen nebst driehundert Tafeln naturgetrau colorirter Abbildungen .Leipzig, Wilhelm Baensch Verlagshandlung, 1865-1867. 2 volumes. Folio. With 299 hand-coloured engraved plates, numbered 1-300 (nos. 157 & 158 in 1 plate). Modern black half calf. - WorldCat (9 copies); cf. F.D. Schroers, Lexicon deutschsprachiger Homöopathen (2006), p. 42; not in Nissen, BBI; Plesch; Pritzel. Rare first and only edition of a work on homeopathic medicinal plants written by the German physician Heinrich Goullon jr. (1836-1906), consisting of a text and atlas volume. The text volume starts with a Latin and a German register of all the plants included, followed by a brief preface on homeopathy following the principles of its founder: Samuel Hahnemann (1755-1843). The main part of the work gives descriptions of numerous plants, including their external features, environments, official names, healing qualities, applications and a description of the plant's components as shown in the plates. The atlas contains 299 hand-coloured plates showing many of the plants described in the text volume, usually accompanied by their flowers, roots, seeds or fruits. The plates were issued over two years in 60 instalments. Goullon also wrote other medical works, most of them on alternative (homeopathic) medicines for diseases like tuberculosis. His father was a homeopathic physician as well. Even though the present work is very elaborate, it is often overlooked in the secondary literature.Only very slightly browned and a few plates slightly foxed. Binding in very good condition, spine slightly discoloured. Overall a very good copy. Crown Publishers (2006)., New York - Later printing. 375 pages. Index. 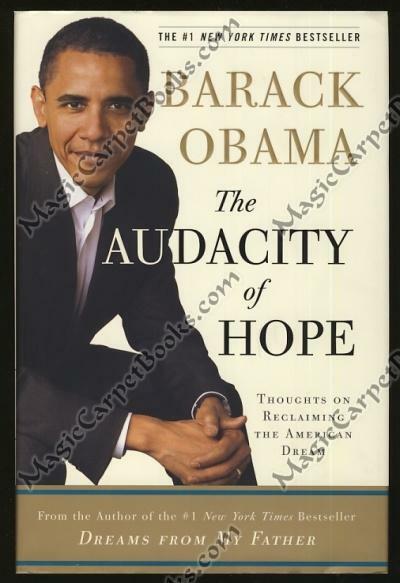 Signed by Obama on the title page. A clean, attractive copy. America 2006 - This exquisite large folio bird print is from the commission of "The New-York Historical Society Edition of Audubon's Fifty Best Watercolors". 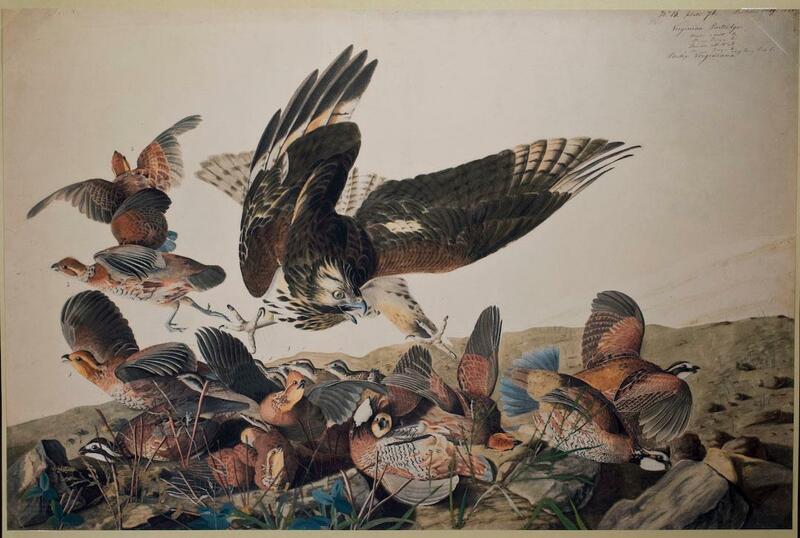 The work was done by the New-York Historical Society and Oppenheimer Editions which printed high-quality replicas in the actual size of the original watercolors used to create John James Audubon's monumental "Birds of America". Only 200 sets of this special collection were produced. Each is printed with archival pigments on 100% rag watercolor paper. --- Lucy Audubon had sold the core collection of Audubon's to the New York Historical Society in 1863. This included 471 of John James Audubon's original watercolors of which 435 were used to create the Havell edition of "Birds of America". 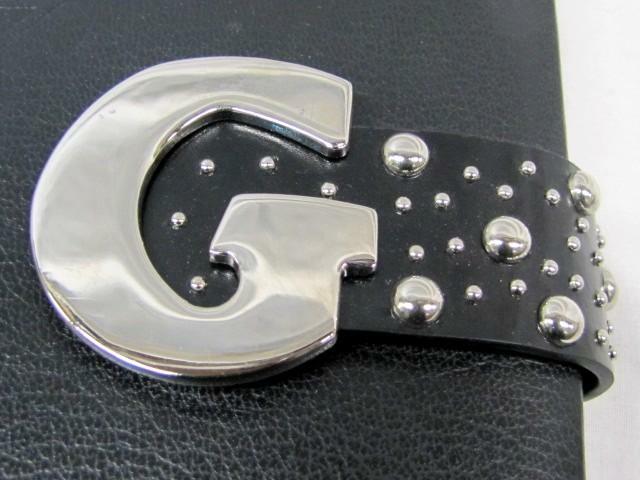 --- The work is in excellent condition overall. Please review the image below carefully for condition and contact us with any questions. 2006. Ed. Ed. Siloé. 2006 - . . . 1 Vol. . LXXXV láminas pp. Cuarto Mayor. Plena Piel. . Facsímil cuyo original pertenece a una colección privada. Ejemplar nº 173 de una tirada limitada de 898 ejemplares numerados y firmados ante notario. Excelente estado de conservación. .
2006. Ed. Ed. Siloé. 2006 - . . . 1 Vol. . Sin paginar pp. Cuarto. Terciopelo. . Facsímil cuyo original se conserva en la Biblioteca del Colegio de las Escuelas Pías de Zaragoza. Ejemplar nº 195 de una tirada limitada de 898 ejemplares numerados y firmados ante notario. Se guarda en caja de madera con guantes de seda y llave para la caja de madera. Incluye libro de estudios. Recién abierto de la caja de la editorial, excelente estado de conservación. .
2006. Ed. Ed. Siloé. 2006 - . . . 1 Vol. . Sin paginar pp. Folio Mayor. Plena Piel. . Facsímil cuyo original pertenece a una colección privada. Ejemplar nº 152 de una tirada limitada de 898 ejemplares numerados, firmados y sellados ante notario. Se guarda en estuche de cartón y piel. Excelente estado de conservación. .
Beschreibung der in der homöopatischen Pharmacopöe aufgenommenen Pflanzen nebst driehundert Tafeln naturgetrau colorirter Abbildungen ...Leipzig, Wilhelm Baensch Verlagshandlung, 1865-1867. 2 volumes. Folio. With 299 hand-coloured engraved plates, numbered 1-300 (nos. 157 & 158 in 1 plate). Modern black half calf. 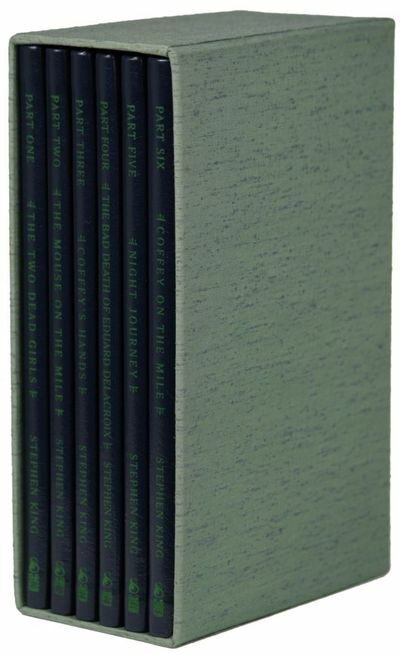 WorldCat (9 copies); cf. F.D. Schroers, Lexicon deutschsprachiger Homöopathen (2006), p. 42; not in Nissen, BBI; Plesch; Pritzel. Rare first and only edition of a work on homeopathic medicinal plants written by the German physician Heinrich Goullon jr. (1836-1906), consisting of a text and atlas volume. The text volume starts with a Latin and a German register of all the plants included, followed by a brief preface on homeopathy following the principles of its founder: Samuel Hahnemann (1755-1843). The main part of the work gives descriptions of numerous plants, including their external features, environments, official names, healing qualities, applications and a description of the plant's components as shown in the plates. The atlas contains 299 hand-coloured plates showing many of the plants described in the text volume, usually accompanied by their flowers, roots, seeds or fruits. The plates were issued over two years in 60 instalments. Goullon also wrote other medical works, most of them on alternative (homeopathic) medicines for diseases like tuberculosis. His father was a homeopathic physician as well. Even though the present work is very elaborate, it is often overlooked in the secondary literature.Only very slightly browned and a few plates slightly foxed. Binding in very good condition, spine slightly discoloured. Overall a very good copy. Rolex. Collezionare orologi da polso e d'epoca. Volume II. Collecting modern and vintage wristwatches. 2006. Ed. Ed. Taberna Libraria. 2006 - . . . 1 Vol. . . Folio. Terciopelo. . Facsímil cuyos originales son propiedad del Ministerio de Cultura. Ejemplar nº 336 de una tirada limitada de 500 ejemplares numerados y firmados ante notario. Incluye libro de estudio. Se guarda en estuche de terciopelo. Recién abierto de la caja de la editorial. Excelente estado de conservación. .
Hans Aabeck-Ackermann: Landschaftsaquarell Winterlandschaft auf der Rückseite betitelt mit Nummer 616. Original-Aquarell auf festem Aquarellkarton von Hans Aabeck-Ackermann signiert und datiert mit der Jahreszahl 2006. 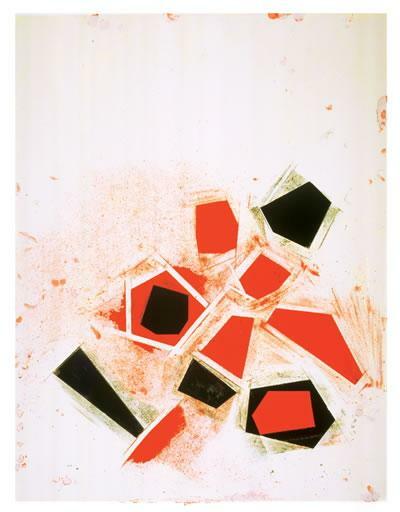 Format 69,5 cm x 49,5 cm. Sehr guter Zustand. Moored Man is a shape-changer, passionate and dangerous. In this powerful cycle we see him moulding dykes, sorting gravel, infilling creeks, tricking the unwary, drowning the innocent, howling and dancing, and all the while worrying away at his own contradictory identity and relationship to human beings. 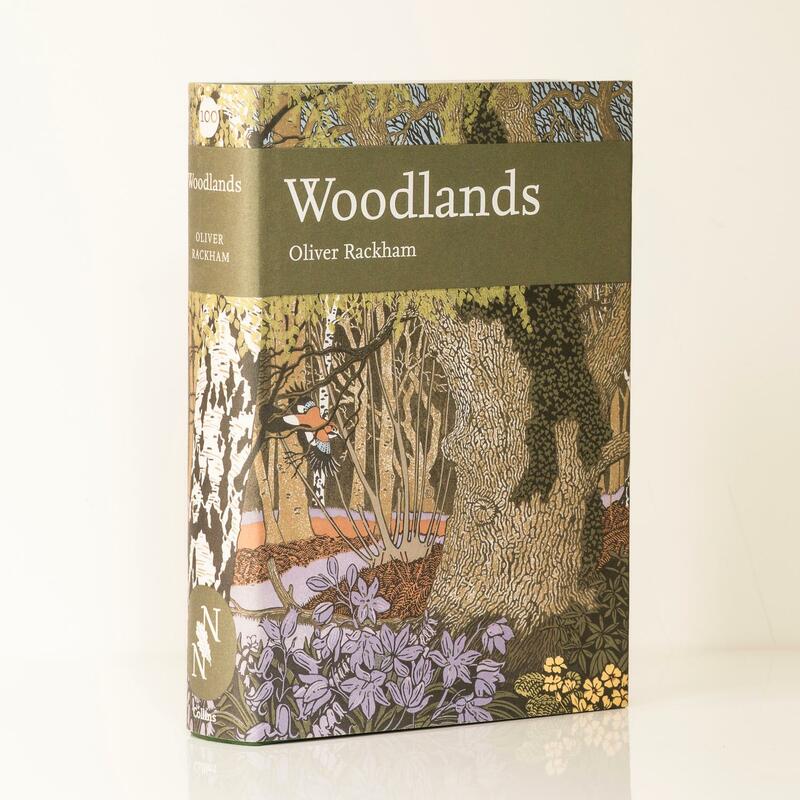 This is Kevin Crossley-Holland's first new collection since The Language of Yes (Enitharmon Press, 1996), and it is a vivid and penetrating enquiry into the dramatic north Norfolk landscape where he now lives. Norman Ackroyd's evocative etchings and watercolours provide a haunting accompaniment to the poems in this sumptuous edition. The de luxe edition is slipcased and comes with an original etching entitled Overy Marshes by Ackroyd numbered 74/90. 2006. Ed. Ed. Scriptorium. 2006 - . . . 2 Vol. . 152 folios pp. Cuarto. Terciopelo. . Facsímil cuyo original se conserva en la fundación Lázaro Galdiano. Ejemplar nº XXVIII de una tirada limitada de CCL ejemplares numerados y firmados ante notario. Incluye libro de estudio. Se guarda en atril expositor. El libro se encuentra algo viciado por haber estado permanentemente en el atril expositor. Recién abierto de la caja editorial y excelente estado de conservación. .
Curvebender Publishing, Houston, 2006 - Large square quarto hardcover in slipcase; black cloth boards with silver gilt upper board and spine titling, black endpapers; 537pp., colour & b&w illustrations. 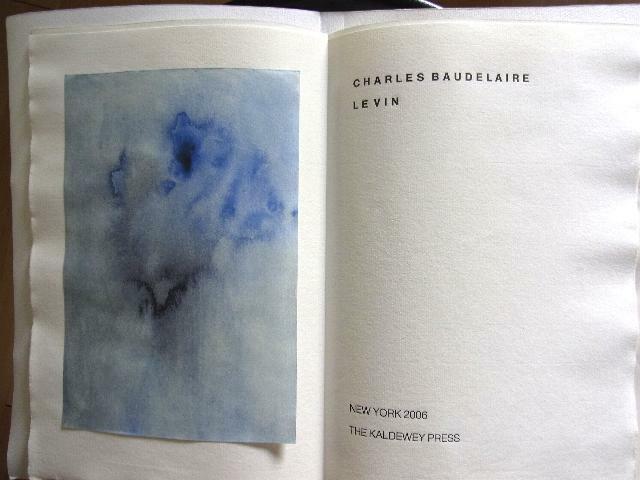 One or two tiny marks on dustwrapper; small bump with creasing and mild scraping to slipcase edges; very slight rubbing. Near fine. Unopened bonus material in cellophane bag. Near fine. Curvebender Publishing. Hardcover. 0978520009 Curvebender Publishing, 2006. Hard cover, 2nd printing. VG condition in VG dust jacket; the slipcase has a bit of minor rubbing to the edges but is otherwise VG. 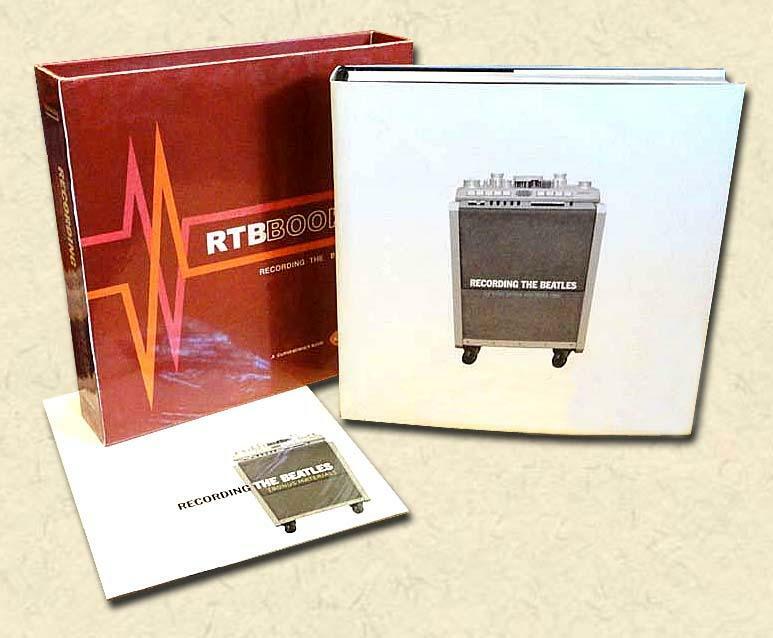 Includes the bonus materials. . Very Good. London: Harvill Secker, 2006. First UK edition, limited issue of 1000 numbered copies with the publisher's plate signed by Murakami (in English) affixed to the half-title page as issued. Copy #329. Translated by Philip Gabriel and Jay Rubin. Issued without dustjacket. Slipcase. Unread copy in Fine condition in a Fine slipcase.. Signed by Author on Bookplate. First Edition. Hardcovers. 8vo - over 7¾" - 9¾" tall.The images are of the book described and not stock photos. Constitucion del Estado de Antioquia sancionada por los representantes de toda la provincia. Y aceptada por el pueblo el tres de Mayo del año de 1812.Santafé de Bogotá (Colombia), Nicomedes Lora, printed by Bruno Espinosa de los Monteros, 1812. 4to. Side-stitched; untrimmed. In a modern box. - Garnica, La agenda liberal temprana en la Nueva Granada (2006), p. 46, note 18 (Biblioteca Nacional de Columbia copy); Marquardt, Constitutional documents of Columbia and Panama 1793-1853 (2010), p. 367, note 1 (same copy). 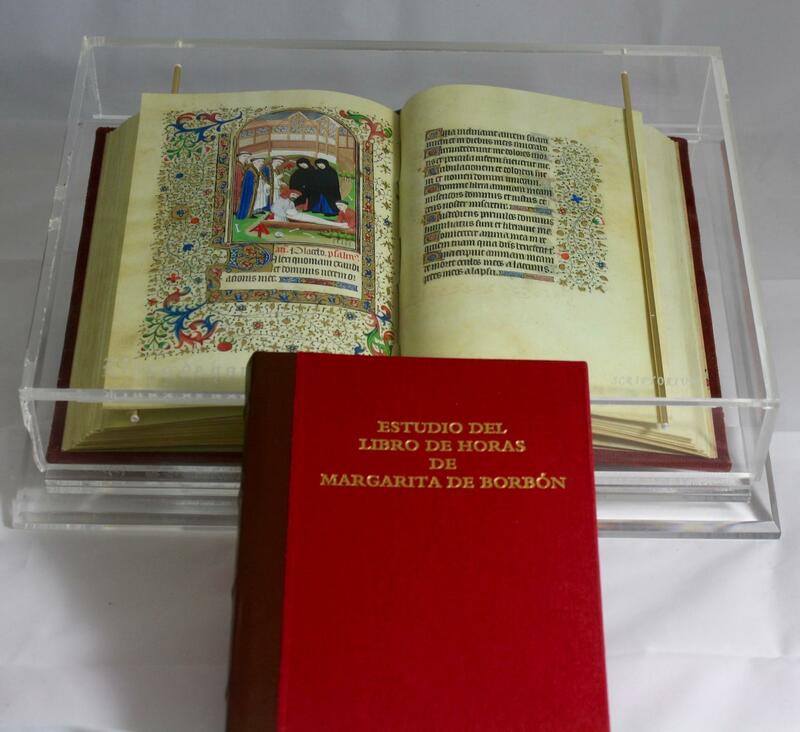 Exceptional copy of an extremely rare book containing the text of the first constitution of the Colombian province of Antioquia, with its capital at Medellin. This constitution (3 May 1812) precedes that of Cartagena de Indias, which was the first city to declare independence from Spain (14 June 1812). Colombia as a whole did not declare its independence until 1819. The book was printed in Bogotá, Colombia in 1812. 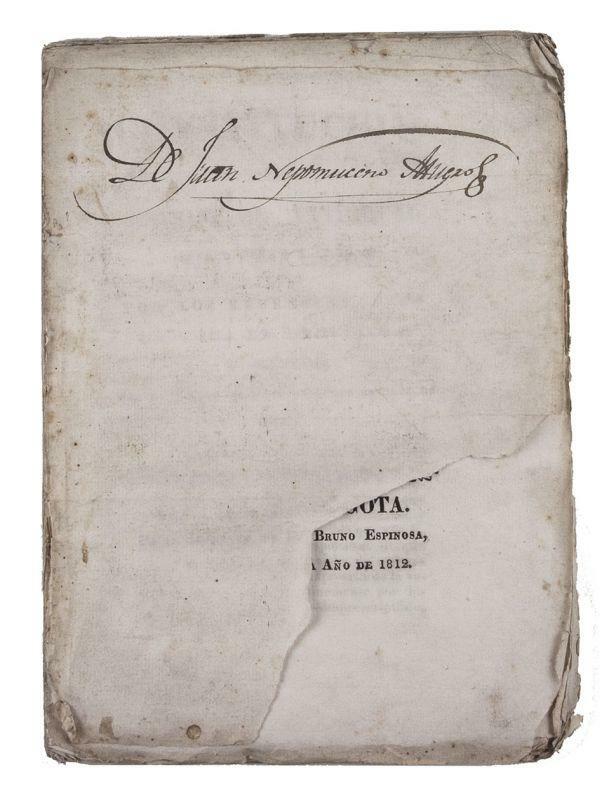 The only other copy we have located is in the National Library of Columbia.The integral blank of the present copy (serving as front wrapper) has the owner's signature of Juan Nepomuceno Azuero (1780-1857), Colombian patriot and revolutionary, brother of the famous publicist and politician Vicente Azuero. Azuero, Santander, Francisco Soto, Luis Vargas Tejada and Florention Gonzalez are all linked to the early beginnings of the insurrection and the founding of the Colombian Republic. They used to meet in the home of Vicente Azuero and Indalecia Ricaurte. Lower right corner of front wrapper torn off. A remarkable copy of the first edition of the constitution of the first Colombian province to declare independence from Spain. 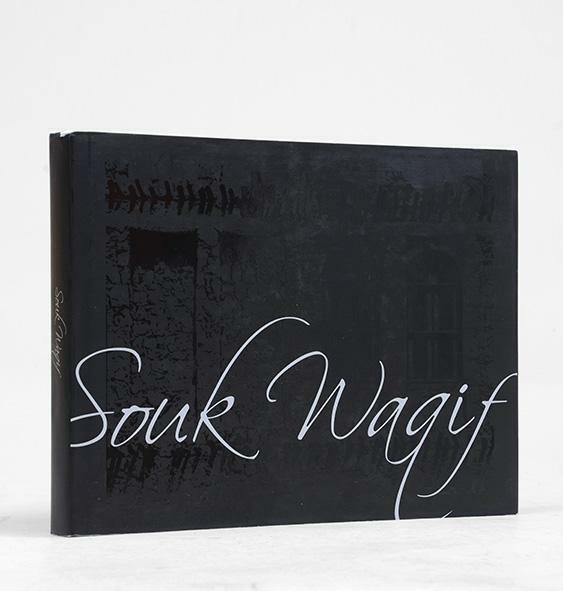 Souk Waqif - Once upon a Time.